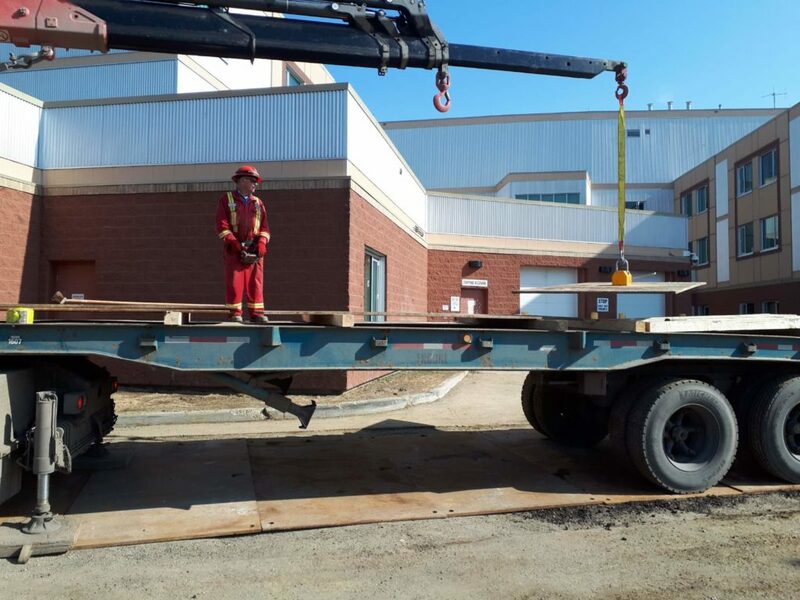 Lifting Road Plates with Magnets - Encore Trucking & Transport Ltd. Lifting road plates with magnets increases productivity and safety. At Encore, we are all about saving our customers money and keeping our operators safe. Using a heavy duty magnet, we can easily grab hold of these heavy road plates, and not have to worry about pinch points. Road plates can create many hassles and hazards during lifting and transport. Sometimes the operator cannot jimmy a hook into the normal location, or they have to jack up on end and shimmy the plate several times before a sling or chain can be properly placed. Also, snow, ice, and rust can make the lift even more difficult. When using a heavy duty magnet, we remove a lot of the hassles and hazards. Placing the heavy road plates is easy and accurate with the magnet. One of our operators told us that using the magnet saved him well over an hour during his day. Not only did it save him time, but it made his job safer too. He didn’t place his fingers in harms way. Not once did he have to shimmy a block underneath the load. The more hazards we remove from a task, the safer we are. By continually thinking of new ways to complete tasks, we can accomplish our goals. By combining our picker trucks with specialty jibs, Encore Trucking & Transport has has saved our customer money. 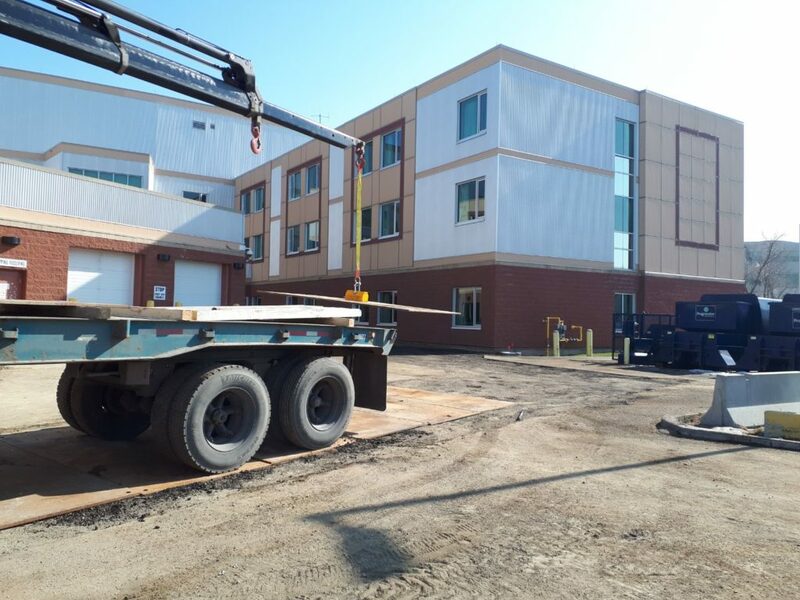 We have used various combinations of our trucks, trailers, and jibs on other jobs to solve problems. It’s what we do here; we solve problems. Come to us with your problems and let us show you what we can do. Our operators are experienced and dedicated to lifting and hauling in the safest way possible. Make your next move easy and safe by calling Encore Trucking & Transport.